Thai Cafe Blogging : Ice Cream! Some of you may be aware that in the last six months I have, at times, been crocheting quite a bit. Since January, I've made a very long alpaca scarf, three baby hats (one of which only fit a stuffed rabbit) and half of a pretty purple sock that I have since decided should be an iPod holder or something. A couple of weeks ago a friend and I decided to venture off into the wilds of Cary to Shuttles, Hooks and Needles, which is a yarn store that was highly recommended by my dental hygienist. Unfortunately, it was by no means wheelchair accessible, so we had to abort the mission. I'm still extremely glad she recommended it, because it was the excuse I had for going to Udupi! I'm also kind of glad that it was inaccessible, because that meant that we headed off to the Hillsborough Yarn Shop sooner rather than later. The Hillsborough Yarn Shop is quite wonderful, indeed. The owner, Anne, explains to all customers as they come in the door that it operates similarly to a shoe store. There are individual skeins of yarn in the front and you can request that she bring out the number of skeins that you would like (need) from the back. This enables her to offer a huge selection of yarns, all from natural fibers, in a relatively small space. There is one more room, in addition to the one that I've depicted in the photographs above. You can easily spend hours looking at and feeling of all of the gorgeous yarns. I did. Of course I just looked. I have amazing willpower. I've never seen the green leather ottoman that the yarn is sitting on before in my life. I do have to say that if you fill up a frequent buyer's card on your first visit to a store, it definitely makes you feel welcome. Hillsborough continues to be the hip-happening place to go to spend an afternoon. You can go to any number of places to eat, go to Matthew's Chocolates for dessert and then shop to your heart's content. Now, more than any other time in the almost 20 years that I've lived here, it's not just a place to stop for just one thing. Downtown Hillsborough, as a whole, is a destination. Thai Cafe has recently added housemade ice cream to their dessert offerings. Before they just had creme brulee and coconut cake, which is an unusually short list. Now they have housemade coffee, red bean, green tea, vanilla and strawberry ice cream. I had the red bean, which my 2nd Most Faithful Reader and I enjoyed. My Most Faithful Reader had the coffee, which was great. I would have ordered it or the green tea, which had both been recommended by our waiter, but I avoid consuming caffeiene in the evening. I rarely ever get dessert at Thai Cafe, because I'm usually too full after my meal to tackle their large serving of creme brulee, but one can always fit in some ice cream! In contrast, Rockwood Filling Station, right across the street, has quit serving their housemade ice cream, which was very disappointing the last time I went there. They still have root beer floats and milkshakes, though. Dear readers, were you not ordering their ice cream enough for them to keep it around? Shame on you. Actually, Scott Howell has a tradition of taking away my favorite desserts. I'm still dreaming of the fried pies that he used to serve at the Q-Shack. Fortunately, I love the Anchovy pizza at the Filling Station so much that I'll forgive him. 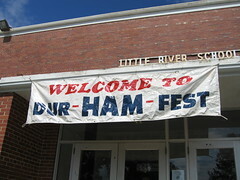 Once again, it's time for DurHamFest, the annual amateur radio swap fest run by the Durham FM Association. This year, it's the 35th annual hamfest, which is pretty amazing. It's this Saturday, May 23rd, from 8am to 2pm, at the Little River Community Center. It's a great event for ham radio operators to get together and socialize and for everyone to look at or purchase new and used radio and computer equipment. There will be food available, of course, or I wouldn't even think of attending. Well, I might bring my own, I suppose. If you're a ham, I hope to see you there. If you're not, it's an opportunity to learn a little more about amateur radio and gawk at geekiness. That's another way of saying that I anticipate that fun will be had by all. I've mentioned before that I thought you had to go to Cary in order to get really good Indian food in this area. Don't get me wrong. 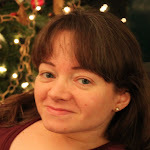 In this case, I am not a snob, because I am more than happy to gobble down any Indian food that you put in front of me. I just hoped to be impressed by what I found in "Little India", in Cary. I was. I know you're wondering, but I assure you that I did not get lost while I was in Cary, no thanks to the road that was closed in Google's chosen path. My iPhone's GPS quickly showed me an alternate route. The food at Udupi Cafe, which had been recommended to me by at least a dozen people, was beyond fantastic. Udupi has southern Indian food and is completely vegetarian. It was almost packed at close to 1pm on a Saturday afternoon. We chose the buffet, but we could have ordered from the menu. Absolutely everything was delicious. I particularly liked a carrot dish, which is the orange substance depicted in the photo above. I, of course, don't like cooked carrots, but my tastes are consistently inconsistent, as my readers are well aware. From left to right, they had a coconut chutney, lemon pickle and raita. The lemon pickle didn't seem outrageously hot to me, but I think I'm just getting used to these things. Everything was good. Go there. I don't care if you have an aversion to Cary. You must go. I want to go back as soon as possible. You can read another review of Udupi Cafe on The Archer Pelican. Shortly before the Triangle Tweetup last Thursday night, I had a spontaneous dinner at Tyler's Taproom with @boraZ. Eating was rushed, because I was tweeting, talking and we were both looking for other people we knew or who just looked as if they might be going to the Tweetup. Bora ordered the blackened salmon salad. As you can see, he was very eager to eat it. He finished it too! It must have been good. I had the fish and chips. They've replaced the catfish with cod, which they announced in a separate page inserted in the menu. They said this was due to popular demand and I'm not terribly fond of catfish, so I naturally think this was a good move. I actually thought their fish and chips was quite good before, in spite of the type of fish, but this was even better. It was nice and crispy and they give you three big pieces accompanied by their garlic fries, which are great. Two of the pieces made a nice lunch on Saturday and no reheating was required. I also do love drinking at Tyler's. Their lemonade is still fantastic. It's so sour. It's perfect. It's really what keeps me going back again and again. I admit that I am powerless over good lemonade. That's the first step. I recently went to Green Leaf, which is on University Drive, between Eastern Lights and AutoZone, and where Taste of India was briefly. I thought it was good and the food was pleasantly spicy, much more so than any of the other Indian restaurants in Durham. As you can see, I started out by feeding my comparatively recent mango lassi addiciton. Green Leaf features southern Indian cooking, but they also have northern Indian food. They started out by giving us some cauliflower pakoras, which were very good. We ordered some Punugulu, which are made from rice and lentils, with onions, chillies and ginger. They're kind of like savory hushpuppies with a kick. They came with a coconut sauce, which was quite good. I wanted to try their dosa, which are characteristic of classic southern Indian cuisine, so we ordered the Vegetable Kal Dosa. The Kal is what the pancakes are cooked on. They were served with a delicious concoction of vegetables and the same coconut sauce as the Punugulu. The owner noticed that I was picking out the mushrooms, because I'm still not fond of most of them and rushed over to offer to make a version without them. I explained that it was ok, because my friend liked them and I think they add a nice flavor. Many years ago, I tried dosa at the Dosa Inn, in Cary, and these were so much better. This dish was really fantastic. We also shared the Kerala Fish Curry, which had tilapia and coconut curry, with southern Indian spices. It was also very good. The curry came with a large serving of rice and I thought the few peas on top made it look sort of elegant. After all this and saving some for leftovers, we were too stuffed to try dessert. They have a buffet every night, which features the cuisine of specific regions on different days of the week. I am really looking forward to going back soon! Be sure to check out Carpe Durham's review of Green Leaf, too.